Women often face special challenges when planning for retirement. Because their careers may be interrupted more often to care for children or elderly parents, women may spend less time in the workforce and earn less money than men in the same age group. As a result, their retirement plan balances, Social Security benefits, and pension benefits are often lower. In addition to earning less, women generally live longer than men, and they may face having to stretch limited retirement savings and benefits over many years. To meet these financial challenges, women need to make retirement planning a priority. Consider the following tips to help yourself or the women in your life plan ahead. To help improve your chances of achieving a financially comfortable retirement, start with a realistic assessment of how much you'll need to save. If the figure is substantial, don't be discouraged — the most important thing to consider is to begin saving now. Although it's never too late to save for retirement, the sooner you start, the more time your investments have to potentially grow. This is a hypothetical example of mathematical principles, is used for illustrative purposes only, and does not reflect the performance of any specific investment. Results assume reinvestment of all earnings. Fees, expenses, and taxes are not considered and would reduce the performance shown if they were included. Actual results will vary. If your employer offers a retirement savings plan, such as a 401(k) or a 403(b), consider enrolling as soon as possible and contribute as much as you can. It's easy to save because your contributions are deducted directly from your pay, and some employers will even match a portion of what you contribute. If your employer offers a pension plan, find out how many years you'll need to work for the company before you're vested in, or own, your pension benefits. Women struggling to balance work and family sometimes shortchange their retirement savings by leaving their jobs before they become vested in their pension benefits. Keep in mind, too, that because your pension benefits will be based on your earnings and on your years of service, the longer you stay with one employer, the higher your pension is likely to be. Even if you're staying at home to raise your family, you can — and should — continue to save for retirement. If you're married and file your income taxes jointly, and otherwise qualify, you may open and contribute to a traditional or Roth IRA as long as your spouse has enough earned income to cover the contributions. Both types of IRAs allow you to make contributions of up to $5,500 in 2018 (unchanged from 2017), or, if less, 100% of taxable compensation. If you're age 50 or older, you're allowed to contribute even more — up to $6,500 in 2018 (unchanged from 2017). Do you worry about outliving your retirement income? Unfortunately, that's a realistic concern for many women. At age 65, women can expect to live, on average, an additional 20.6 years.1 In addition, many women will live into their 90s. This means that women should generally plan for a retirement that will last at least 20 to 30 years. Women should also consider the possibility of spending some of those years alone. According to recent statistics, 34% of older women are widowed, 16% are divorced, and almost half of all women age 75 and older live alone.2 For married women, the loss of a spouse can mean a significant decrease in retirement income from Social Security or pensions. Estimate how much income you'll need. Use your current expenses as a starting point, but note that your expenses may change by the time you retire. Save regularly, save as much as you can, and then look for ways to save more — dedicate a portion of every raise, bonus, cash gift, or tax refund to your retirement savings. What's your excuse for not planning for retirement? Perhaps you're so wrapped up in balancing your responsibilities that you haven't given retirement planning much thought. That's understandable, but if you don't put retirement planning at the top of your to-do list, you risk shortchanging yourself later on. Staying focused on your goal of saving for a comfortable retirement is difficult, but if you put yourself first, it could pay off in the end. Married or not, it's critical for women to take an active role in planning for retirement. Otherwise, you may be forced to make important financial decisions quickly during a period of crisis. Unfortunately, decisions that are not well thought through often prove costly later. Preparing for retirement with your spouse could help ensure that you're both provided for, and pave the way to a comfortable retirement. Many well-intentioned parents put their own retirement savings on hold while they save for their children's college education. But if you do so, you're potentially sacrificing your own financial well-being. Your children have many options when it comes to financing college — loans, grants, and scholarships, for example — but there's no such thing as a retirement loan! Why not set a good example for your children by getting your own finances in order before contributing to their college fund? Commit to spending just a few minutes a day learning the basics of investing, to help you become knowledgeable. And remember, you don't have to do it by yourself — a financial professional will be happy to work with you to set retirement goals and help you choose appropriate investments. Women face special challenges when planning for retirement, so it's important they make retirement planning a priority. 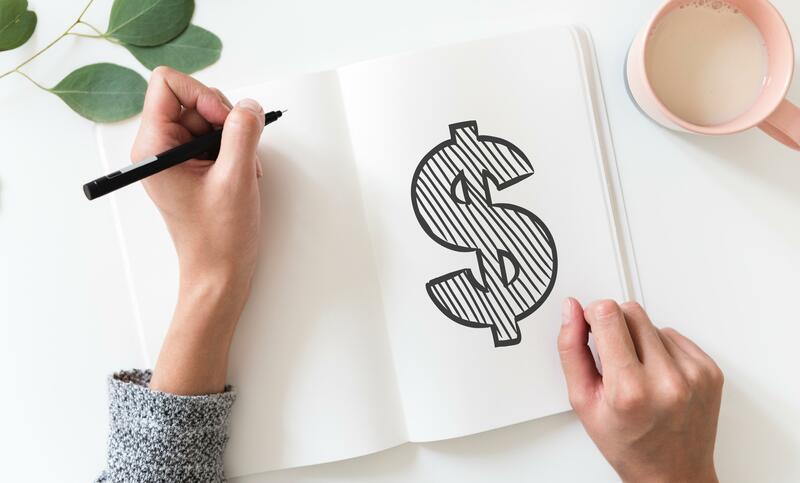 If you're self-employed or own a small business, look into retirement savings options tailored to your needs, including individual 401(k) plans, Keogh plans, SEP plans, and SIMPLE IRAs and 401(k)s.